Wanna have a windowsill full of herbs all year round? 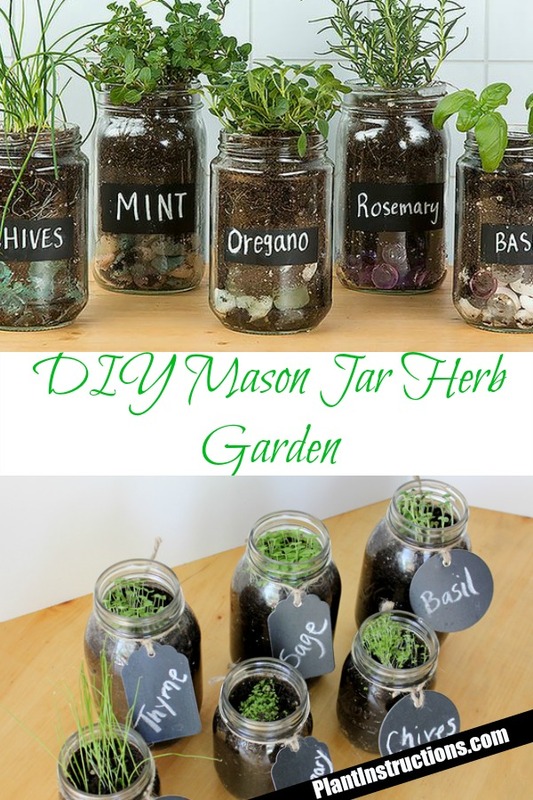 Look no further than this DIY mason jar herb garden that will keep your garden nice, tidy, and clean, all while rewarding you with some beautiful herbs that you can use day in and day out! Keep reading about the DIY mason jar herb garden to learn how to set it up, seed it, and plant it! Especially in areas where winters are long and cold, having a a mason jar herb garden is a MUST as the only thing they really need is good soil, a little bit of sun, and some water! This way, you’ll be able to enjoy the freshest, most delicious herbs even in the dead of winter! 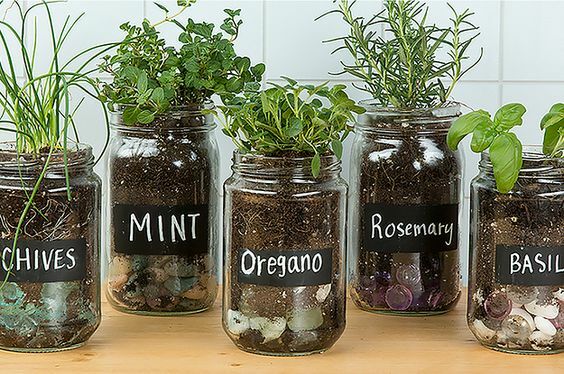 This guide is really a no-brainer because it’s as easy as pouring soil into the jars and planting your herbs! Fill your mason jars halfway with potting soil. Learn how to make your own potting soil. Plant seedlings or grown plants into the soil. You can also plant herbs from seed such as cilantro, parsley, or choose from these 5 herbs that thrive indoors. Water only once the soil feels dry – over watering herbs could make them dye out! Place the mason jars in a sunny spot, such as a windowsill. Only harvest 1/3 of the herbs at a time as to not harm the rest of the plant. DIY Mason Jar Herb Garden was last modified: February 7th, 2018 by Aniela M.
I am new to the plants in mason j jars and when you say water when dry. Question how dry ? Water your mason jar plants whenever the soil is dry to the touch. Simply touch the soil and if it looks and feels dry, go ahead and water it! Make sure not to over water though, as there are no drainage holes in the jars!